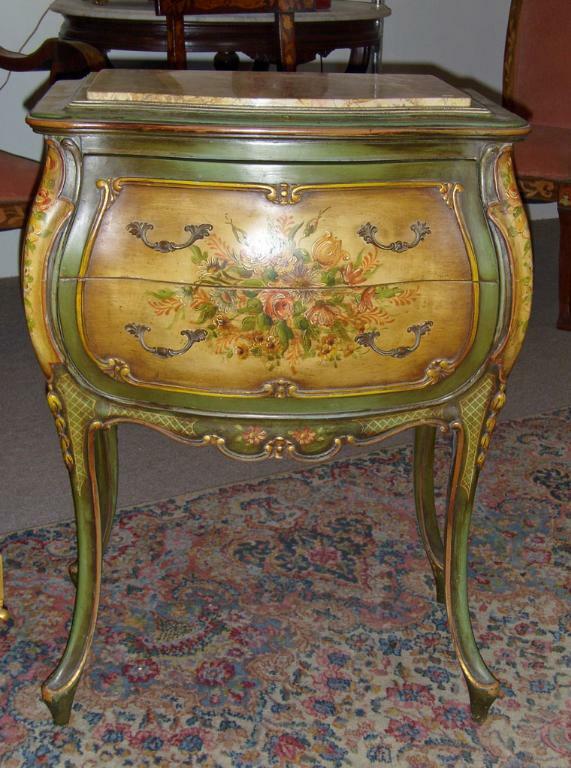 Painted Bombay Chest -- Lovely handpainted bombay two-drawer check with marble top. Beautifully painted flowers decorate the front, outlined by green with tiny flowers. It measures 30" tall x 23" wide x 16" deep. It probably dates from the mid 20th century, and is in beautiful original condition. 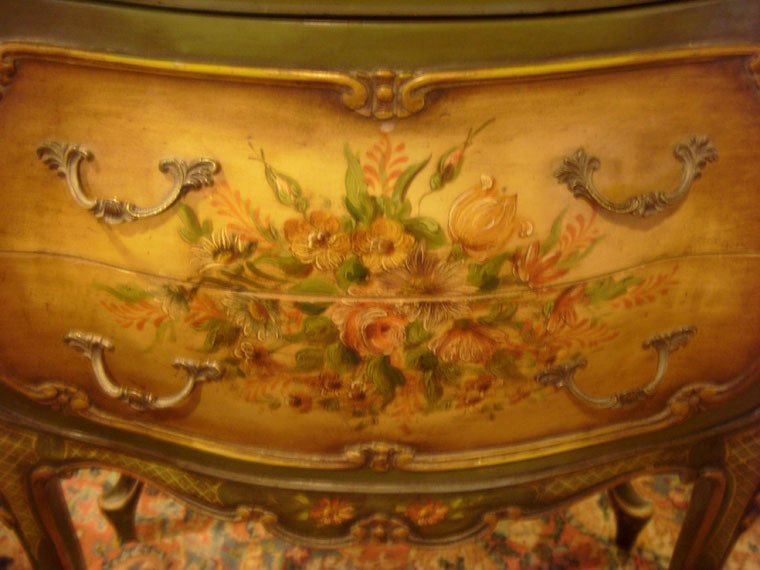 Lovely handpainted bombay two-drawer check with marble top. Beautifully painted flowers decorate the front, outlined by green with tiny flowers. It measures 30" tall x 23" wide x 16" deep. 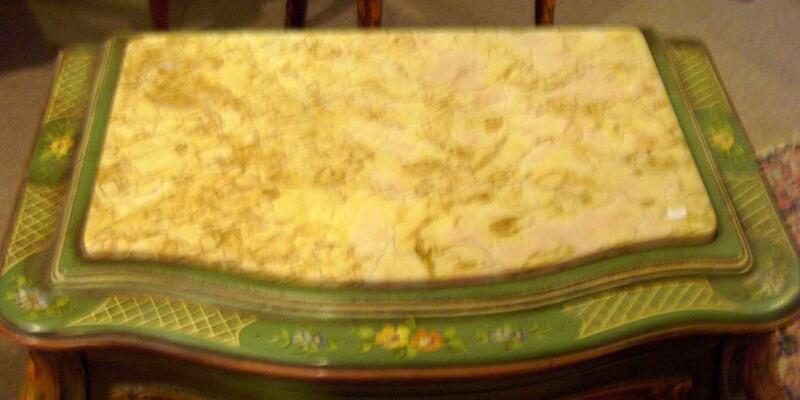 It probably dates from the mid 20th century, and is in beautiful original condition.